Despite the short growing season in Alaska, hydrangeas are surprisingly popular. This may be due, in part, to the several very cold-hardy varieties available. Hydrangea arborescens and hydrangea paniculata will survive in temperatures down to -35 degrees Fahrenheit, which make them obvious choices for tough Alaskan winters. Some garden centers in Anchorage regularly stock hydrangeas and have no shortage of takers for these hardy perennials. Purchase a young hydrangea from your local garden center or have one shipped in if in a remote area. Contact the University of Alaska Cooperative Extension Service office nearest you for information on suitable varieties and growing tips for your area. Select a location with partial shade and well-drained soil for planting. Much of Alaska is covered by the official state soil known as Tanana. Although it does not drain well naturally, this organically rich soil can become quite permeable when heated by wildfires or through cultivation. Dig a hole two to three times wider than the root ball or pot diameter if purchased in a container. Make the hole as deep as the root ball so that the top of the roots are just at ground level after backfilling the soil. Add aged compost to the soil removed and mix well. One part compost to three parts soil is a good blend. 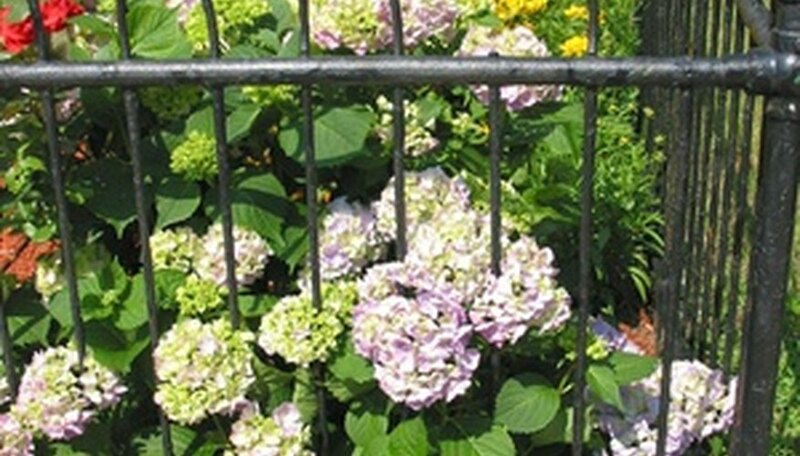 Place the hydrangea in the hole and backfill half of the soil. Add 1 inch of water around the roots, allow it to settle and finish backfilling. Spread 3 to 4 inches of mulch around the plant, making sure it does not touch the trunk. Wood chips, shredded bark or leaves may be used. Water weekly if the rainfall is less than 1 inch. Hydrangeas prefer moist, slightly acidic soil, so keep the mulch topped up by adding 1 inch every month of the growing season. The endless summer variety of hydrangea is described botanically as remontant, meaning that it will flower more than once in a season. If you have problems with deer, moose or other uninvited flower lovers, an endless summer hydrangea will keep their pink to blue blooms coming back to dress up your garden. These hydrangeas are appropriately named for the nearly endless days of the Alaskan summer.